A political philosopher and senior lecturer of philosophy and political science at the Hebrew Univeristy. 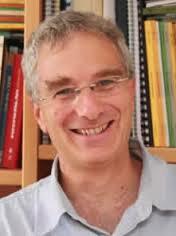 Head of the Global Community Development Studies program at the Hebrew University at Jerusalem and the Max Kampelman Chair in Democracy and Human Rights. An expert in political philosophy, with a focus on poverty, equality, democracy and human rights, as well ecological political and ecological justice.